The company’s current brand logo in a dynamic blue color features an ellipse that is rotated about 10 degrees from the X axis. The name Samsung in the logo has its letters ‘S’ and ‘G’ aligned with the borderline, indicating that the company is connected to the world. The Micromax logo with a punch line nothing like anything reflects the young company’s innovative, dynamic, bold, yet fun elements. The fist in the logo does not only represent the company’s aggressive plans to knock all its competitors out of its way to become the leader. The tech giant Apple’s logo features an apple that is bitten from one side. The iconic symbol with a bite out of an apple also indicates the ‘byte’ from the computing world. ‘Byte’ makes sense as it is one of the foundations of computing. VIAO iconic logo which essentially symbolizes basic analog signal in the V and the A and digital binary code in the I and the O.
Google’s logo features a pattern of primary colors which is broken with a secondary color of green on the L. The broken pattern essentially represents the company’s idea of not being confined by the rules. The Google’s Chrome browser logo is also in line with the company’s main logo which uses four colors including blue, red, yellow and green. The four colors being used in the circular icon which has a blue colored ball placed in the center of the image seem to mean continuous connectivity through the browser. Safari is Apple’s browser with an image of a compass as its logo. Considering that the word Safari essentially means exploring the wild and the compass is used for navigation, the Safari browser logo could indicate navigating and exploring the web. Microsoft Edge is the company’s new browser that replaces the Internet Explorer. The logo looks new but has a hint of the old one. If you will notice closely, it is a redone old logo with the ‘e’ being bisected by the ring. The new logo does not have the ring and is sharper than the previous logo. The popular microblogging service Twitter’s logo is a bird which is not simply used for it makes tweeting sound but has a deeper meaning. The company which redesigned its bird logo in 2012, has used overlapping circles to make the bird. The bird is looking up in the icon which also reflects company’s optimistic attitude. The very popular note taking app maker has used an elephant with a folded ear in its logo. An elephant is believed to have steel-trap memories and never forgets, hence its use in the Evernote logo indicates that the note taking service will remember user’s saved data and notes forever. 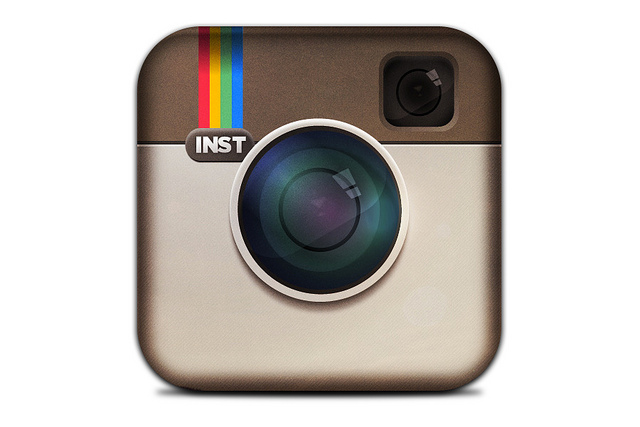 The Instagram logo features a vintage Polaroid camera with four colors in it which explain it all. This simple yet interesting camera icon also reflects the vintage vibe of photo filters in the app. The Amazon logo has an arrow that starts from the A and points towards the Z, indicating that the company sells everything from A to Z. The Arrow also refers to a smile that the company’s customers would experience after using Amazon’s service. Wikipedia’s logo is an incomplete globe which is made of puzzle pieces that have characters picked from various languages. The globe is incomplete in order to represent Wikipedia’s goal to be an online encyclopedia for different kind of people.